Fast and safer start, stop, loading and unloading. Ideal visual reference. Safe straight approach and recognition of foreign object. No FOD and debris. No maintenance. Snow clearing. No limits of snow removability without use of chemicals. Smooth and even surface for stretcher and emergency vehicles. AGAT is installed on a sub base. 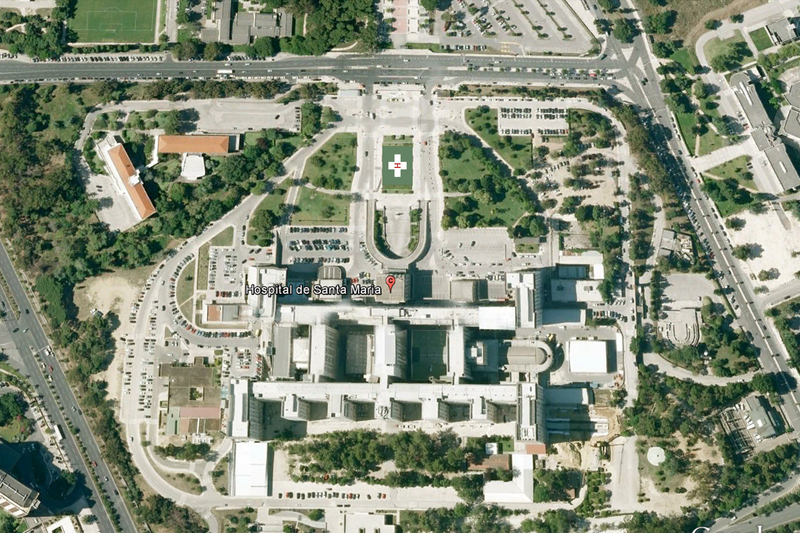 The sub base describes the maximum load bearing of the helipad in worst case scenario. It is typically not the helicopters weight but service vehicles like fire trucks, snow removal gear, fuel trucks, load and unload gear that determines the maximum load bearing on the helipad. Once the sub base is established the AGAT is rolled out. After correct placement, the AGAT is fastened at the edges either by glue down or by trench and bury. The AGAT is filled with 25 kg rounded sand pr. m² which is brunched into the fibers and the AV Heli pad is ready for unlimited use. A helipad is dimensioned after the largest helicopter schedule for regular use. 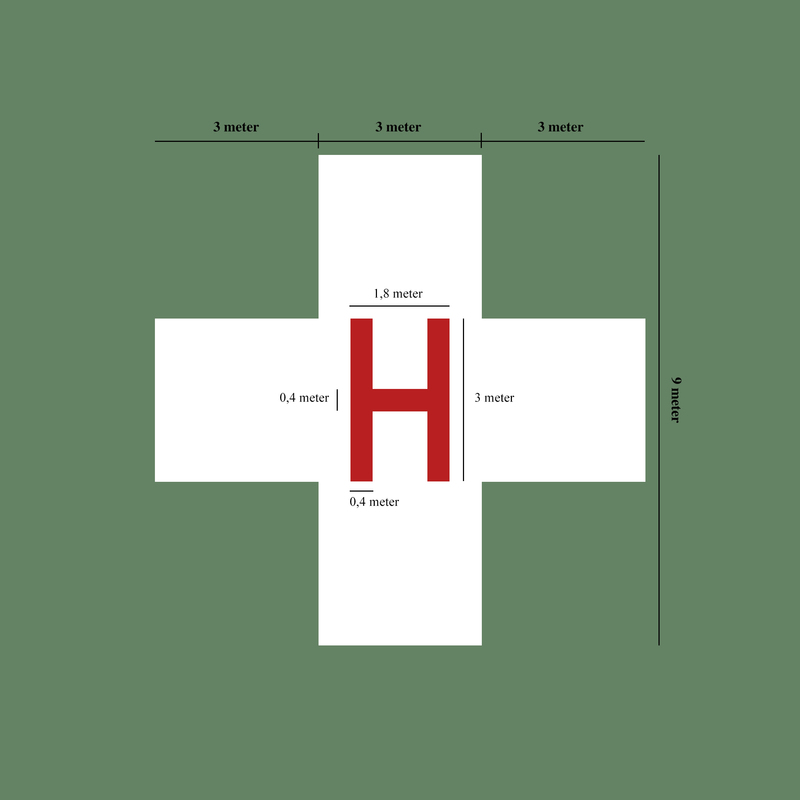 A heliport identification marking for a helipad at a hospital shall consist of a letter H, red in colour, on a white cross made of squares adjacent to each of the sides of a square containing the H as shown on the figure.